FDM is a FTSE 250 award-winning employer that recruits, trains and deploys talent globally. They are a leading IT graduate employer, working with some of the world’s most reputable organisations including HSBC, AXA, Save the Children and Virgin Media to name a few. 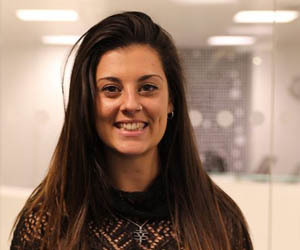 What is the FDM Graduate Programme? The FDM Graduate Programme consists of foundation training followed by an individual learning pathway, where trainees will learn the skills required to become an FDM Consultant working on-site with their clients. FDM has training academies across Europe, North America and APAC that provide fast-track skills development to those with a passion for IT and business. After completing your training you will work on placements on FDM client sites for at least two years. Is it essential to have an IT degree? FDM welcomes candidates from a range of academic backgrounds including Science, Technology, Engineering and Mathematics (STEM). FDM also accept applications from non-STEM graduates who demonstrate a passion for working in the IT industry, particularly for FDM's specific business pathways. Already have IT accreditations or qualifications that FDM offers? This puts you at an advantage, however you would still need to attend the training for that module or sit an exam in order to demonstrate these competencies so that FDM can confidently recommend you to their clients. Do you have to pay for the training? The training you receive is funded by FDM as long as you commit to work for FDM for two years. The training period is unpaid and you will receive a salary when you start your first placement as an FDM Consultant. What does an FDM assessment day involve? 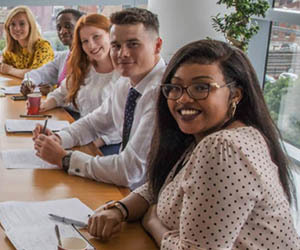 FDM’s Assessment day enables the company to assess candidates for a range of skills including: technical, numerical, interpersonal and teamwork. FDM's assessment centres run on a weekly basis from 9am to 3pm. The schedule of the day involves welcome talks from FDM management followed by a talk from HR to run through any questions you may have regarding FDM's contract and business model. Following this, there will be three tests; mathematics, logical-thinking aptitude and a set theory diagram test. You will also have three separate interviews conducted by FDM managers from various departments within the business; this ensures every candidate is given a fair and equal opportunity. FDM’s assessment is not only a chance for them to assess you, it is also an opportunity for you to ask FDM any questions you may have and find out more about the company. What happens after training is completed? After you successfully complete your training you will be available for client roles. Once selected for placement, you start a two-year employment with FDM as an IT or business consultant. During these two years, you could be placed on one or more of FDM's client sites. You can be placed with any of FDM’s prestigious clients. You may end up working at the same place for the whole two years, or you may be placed on various client sites throughout that time. What happens at the end of the two years? After the two years you have several options. You can remain with FDM as a consultant and continue to work with our diverse client base on a range of projects. You may be able to transition in house at FDM, becoming an FDM trainer for example. Alternatively, you may decide to leave FDM, either transitioning to client site and becoming a permanent member of their team or pursuing other opportunities. 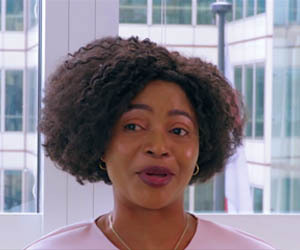 If you do choose to leave, you will become a part of the FDM alumni network, connecting you with the thousands of other people who also started their careers through the programme. 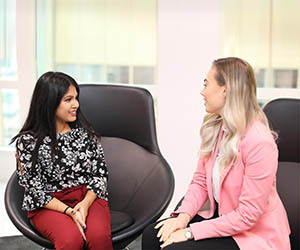 The FDM Mentoring Programme matches mentors with a mentee throughout the organisation, providing opportunities for long term career development. The programme brings together individuals at all levels of their career journey, from management to new starters. It provides you with the opportunity to build relationships and network within FDM’s wider community by linking consultants, alumni, trainees, internal staff and clients together. The Consultant Peer Support (CPS) network provides assistance with on-boarding and has the knowledge to help new consultants acclimatise to their new role and company. It ensures that when a new consultant is placed onsite, they are connected with a more senior FDM consultant already working with that client to help ease their transition. 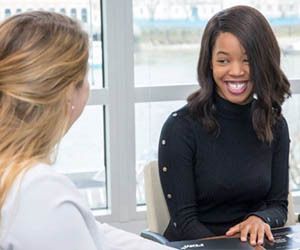 These CPS ambassadors provide the guidance needed to help new consultants get settled, connect with fellow FDMers in the area and prepare for their new roles on-site. Me+ is a bespoke digital application developed for FDM which allows their consultants to set themselves goals and structure their careers in line with their aspirations. The Alumni Network has thousands of people within FDM's alumni network of talented individuals. The company regularly interacts and engages with their alumni community, giving past and present FDMers a network from which to build relationships, learn from others and explore opportunities with people who have had similar career experiences. Launch your career today and receive award-winning training through the FDM Graduate Programme.